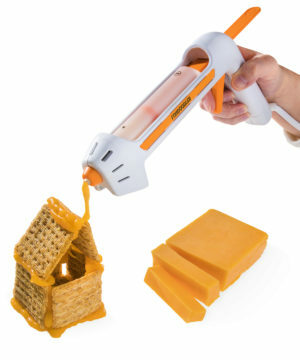 Fondoodler: Hot glue gun but for cheese! 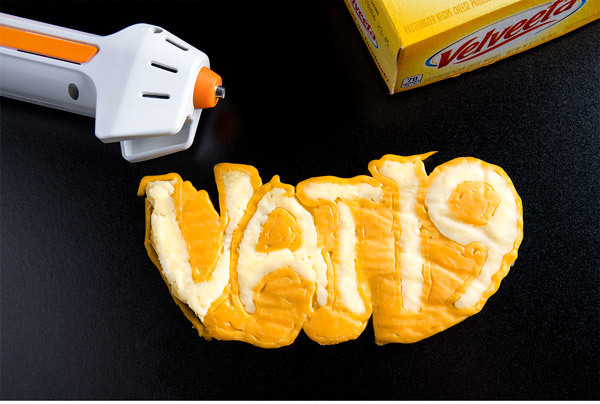 When you think cheese, there's a chance you think Kraft®, but do you think craft? 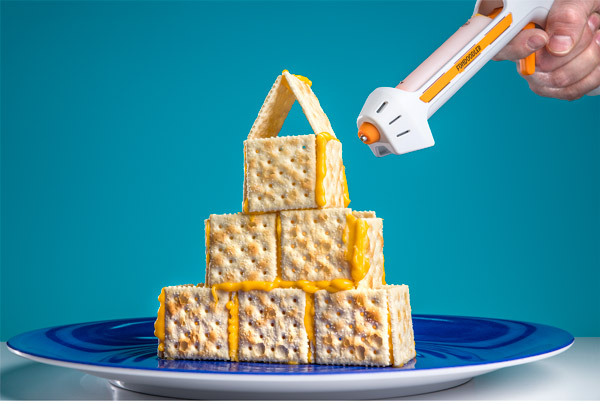 Finally, someone has created the queso-dispensing tool of your dreams, and now you can write, draw, and build with cheese! 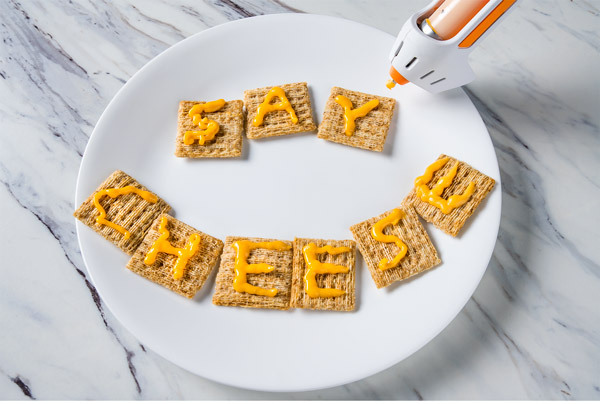 Play with your food when you plug in the Fondoodler, fill the cartridge with cheese, and pull the trigger to design your own dairy decorations. Make edible edifices in two or three dimensions, and don't worry about mistakes—you can always eat them! 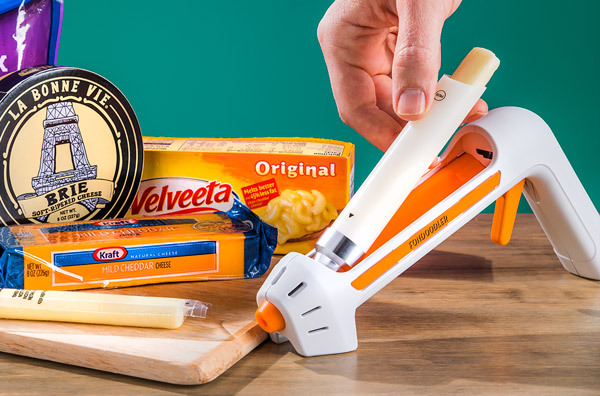 If you dream of cheese day and night, make your wildest fantasies a reality and wield the Fondoodler, a hot "glue" gun you load with cheese instead of adhesive. Plug it in, load up your cheese of choice, and squirt out streams of warm ooey, gooey dairy delights. Finally, you can expand your artistic medium into the dairy aisle! What took them so long? At long last, a cheese gun! 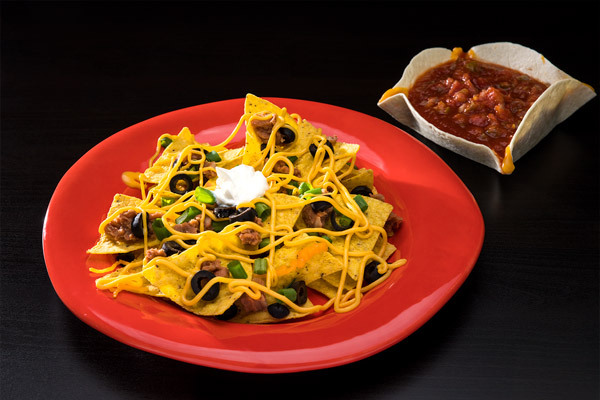 Cover your food, create art, and construct monuments with a cow's greatest culinary contribution. It's a gun that shoots gooey gruyere. While especially runny and especially crumbly cheeses are harder to handle, Fondoodler's loading tube lets you decide which dairy you want to insert and spread. Meltable cheeses like cheddar and jack or products like Velveeta and American extrude with a controllable, creamy texture (and delicious results). 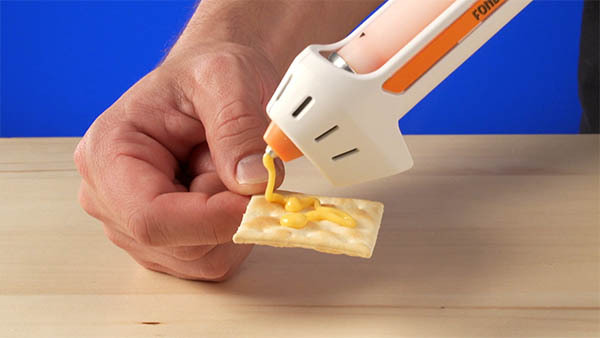 Whether you use a block, a string cheese stick, or shredded cheese, the hot point at the nose of the Fondoodler will convert the cheese into a stream of melted goodness. So feel free to build with a wheel of brie or tear off a hunk of mozzarella to create a masterpiece. (Bring your own cheese.) Fondoodler includes the hot cheese gun, the cheese tube, and a plunger to get you drawing with cheese. There’s also a cleaning brush to keep your Fondoodler as pretty as your pictures. 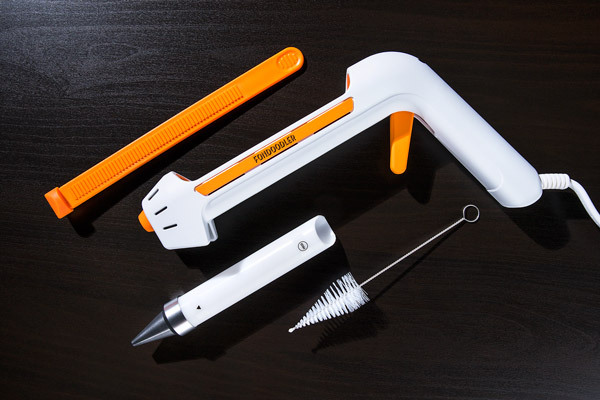 The Fondoodler includes a gun, a tube, a nozzle, a plunger, and a cleaning brush. Question: Can I use this to make a grilled cheese? Answer: The Fondoodler will make delicious ooey, gooey cheese that works great on toasted bread, but it can't grill the bread for you. Question: Can I put something other than cheese in it? Answer: We can't recommend using anything other than cheese in the Fondoodler, and we can't see why you'd need to deviate from the endless varieties of cheese to do so either. Sorry! We're sold out until April 26. More stock arriving on April 26, 2019.